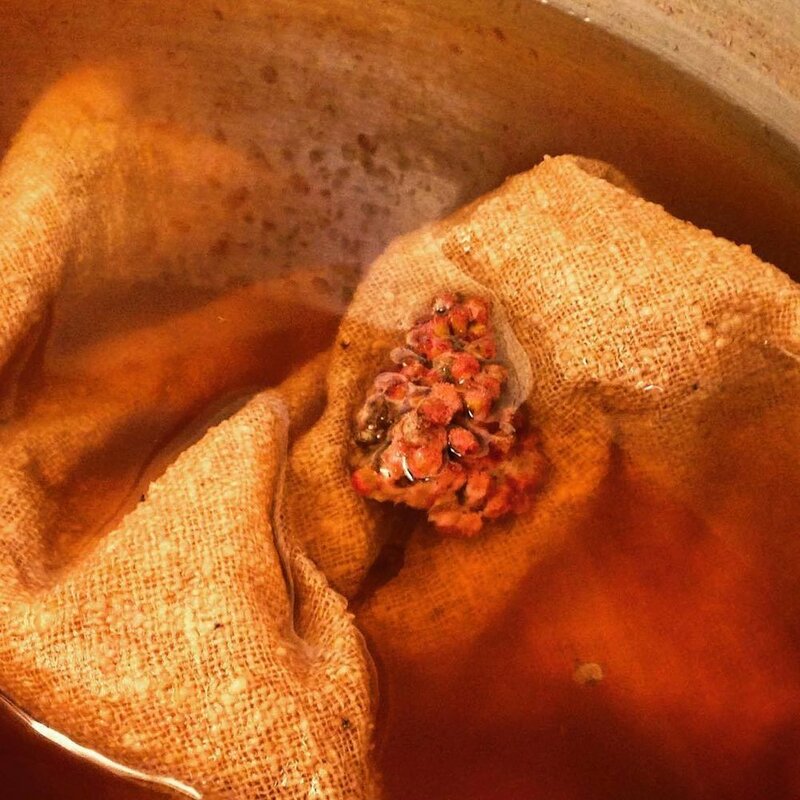 This is a one day “crash course” in natural dyeing in which you will learn the foundations of dyeing with natural materials, and as much as possible, local and wild materials. 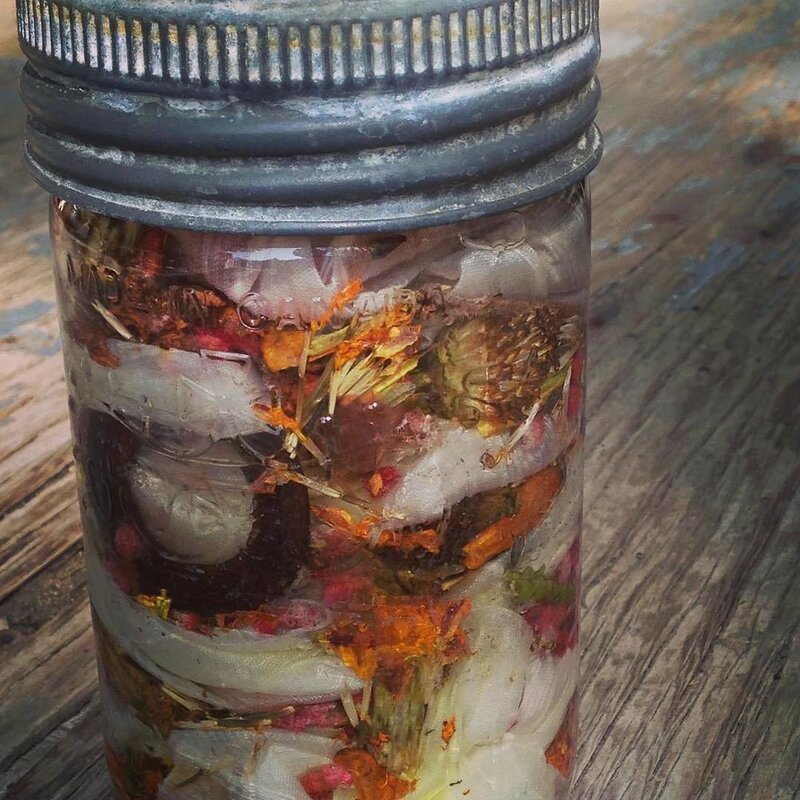 Learn how to extract colour from plants and create your own natural dyes that can be used to dye natural fabrics. 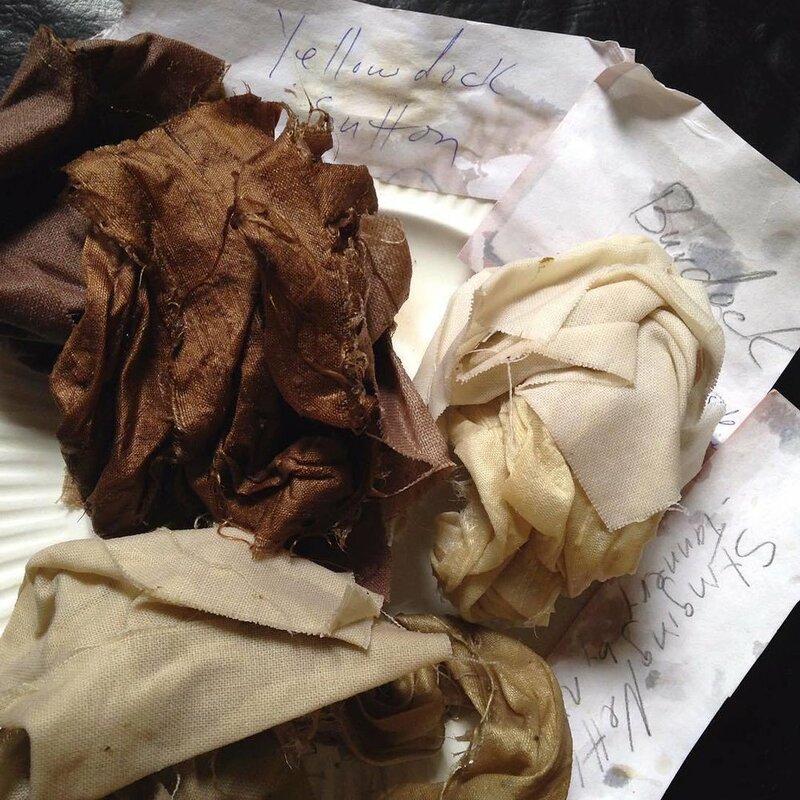 Participants will also learn how to manipulate colour from original dye stocks to create varieties of different tones through minerals, as well as, the process of overdyeing. 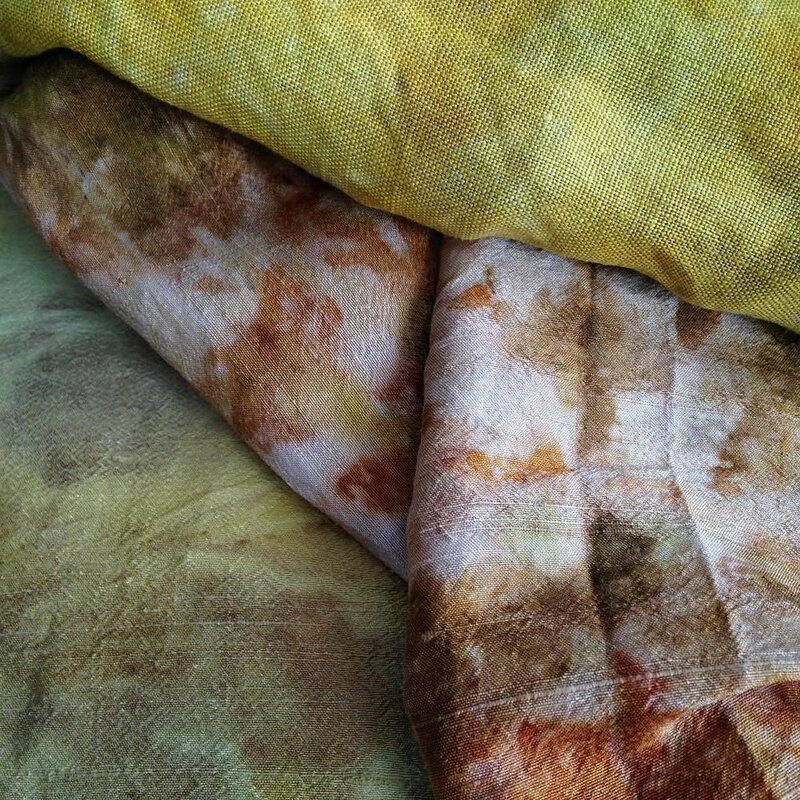 Basic shibori techniques will also be explored. We will use “traditional” methods in the morning and try some “eco printing” in the afternoon.